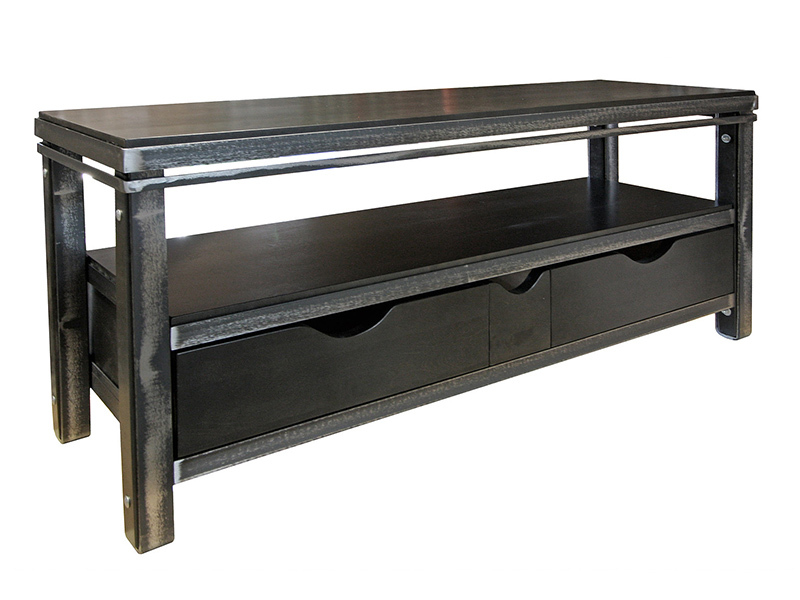 The Manchester TV Unit is inspired by industrial design. The wood top is encircled by a steel frame with legs created from a single steel strip bent without welds for perfect lines. 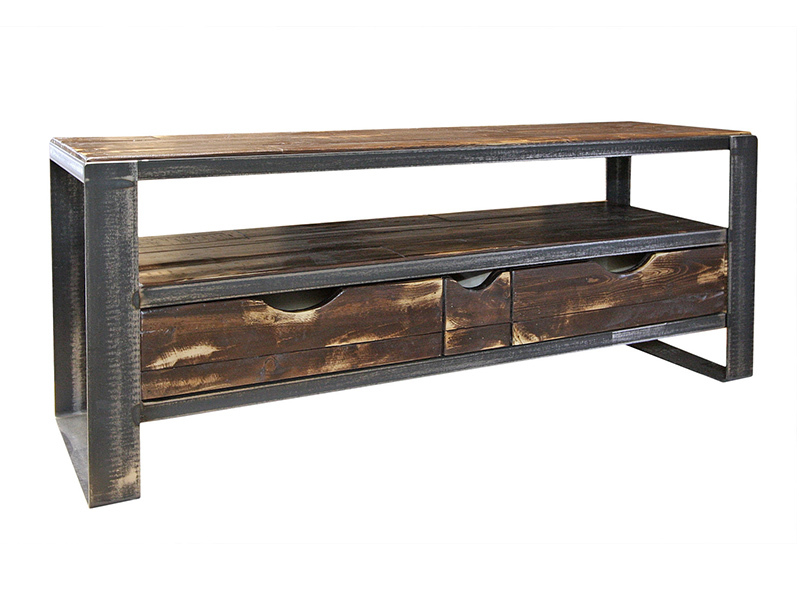 Multiples wood species are available for the top with your choice of stain and metal colour.